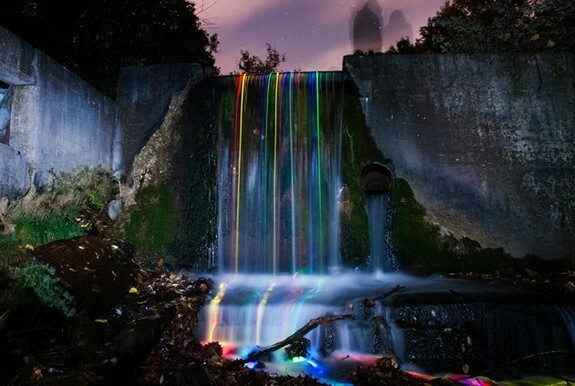 Like a freak midnight rainbow, this ongoing series of lit waterfalls titled Neon Luminance is part of a collaboration between Sean Lenz and Kristoffer Abildgaard over at From the Lenz. 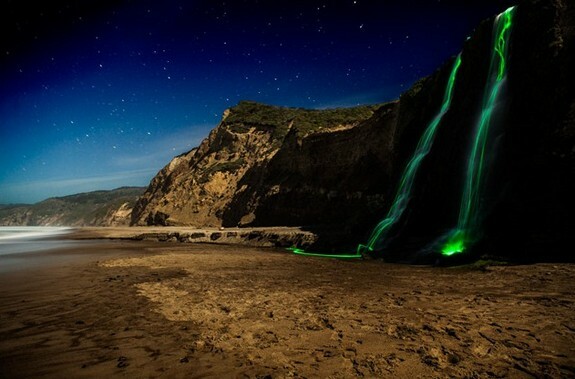 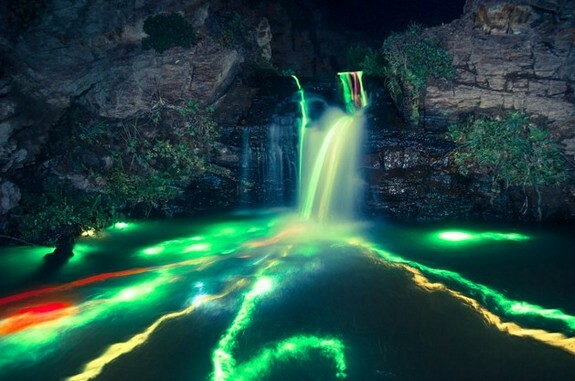 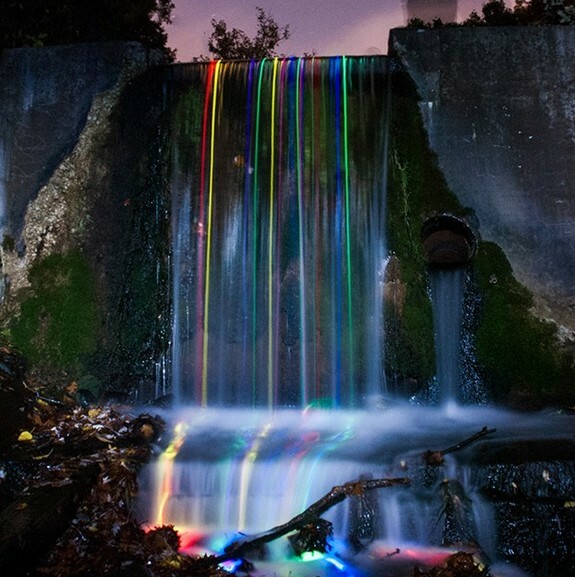 The duo dropped high-powered Cyalume glow sticks in a variety of colors into various waterfalls in Northern California and then made exposures varying from 30 seconds to 7 minutes to capture the submerged trails of light as the sticks moved through the current. 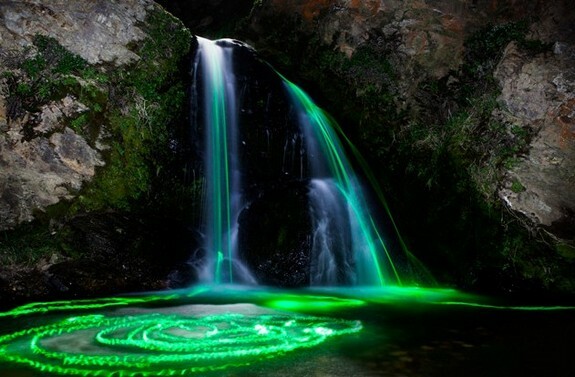 To accomplish some of the more complicated shots they strung several sticks together at once to create different patterns of illumination. 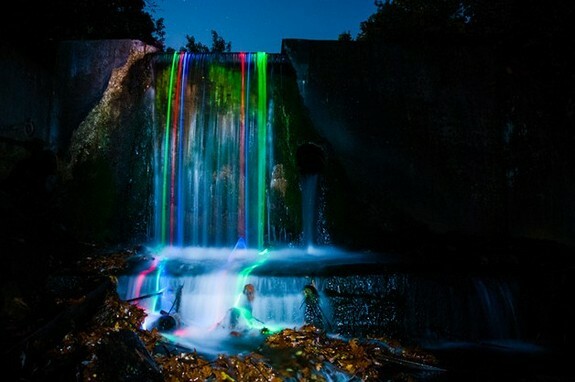 For those of you concerned about pollution, the sticks (which are buoyant) were never opened and were collected at the end of each exposure, thus no toxic goo was mixed into the water.